Please Select Your Quantity - SPECIAL OFFER: Buy 4 and SAVE $80.00! 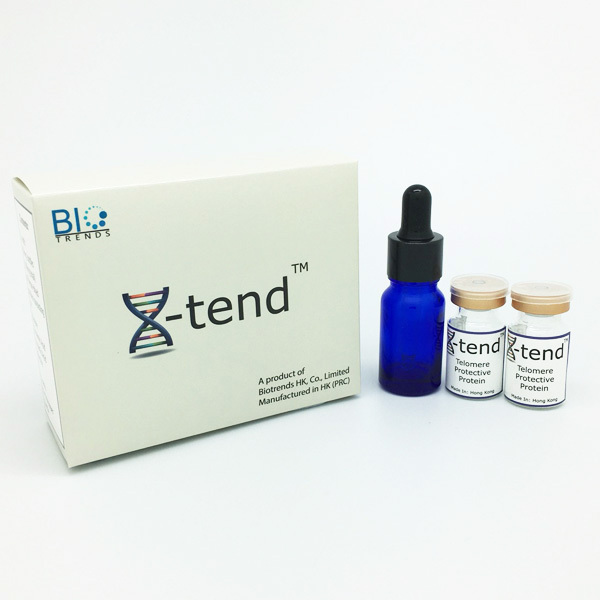 X-Tend™ (Epithalon) is a nutritional supplement designed to enhance a long life. Epithalon is small tetra-peptide, one of the very few substances which are reputed to activate Telomerase enzyme in human. 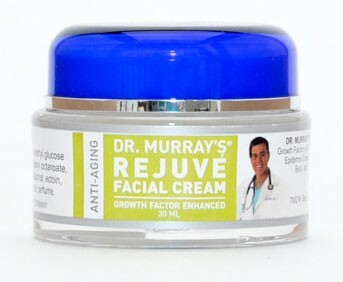 It is classified as a telomerase activator, and putative anti-aging drug developed by the St Petersburg Institute of Bioregulation and Gerontology in the late 1980’s, primarily overseen by Vladimir Khavinson in Russia. It was identified as the putative active component of a bovine pineal gland extract known as Epithalamin. Epithalamin may increase a person’s resistance to emotional stress and also may act as an antioxidant. 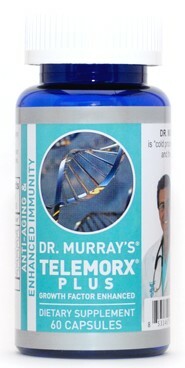 Telomerase medical studies show that it renews (elongates) the telomeres, which are responsible for protection of the human DNA from damage and cancer causing errors. Epithalon (aka):Epithalone/Epitalon/Epithalamine has not generated much interest in the western world by big pharma industry since all patents are held by the Russian inventor. This makes the substance fairly unknown in the west due to the absence of marketing. Clinical studies show prospective results in psychiatry, neuropathology and geriatrics. X-Tend™ is pure A.E.D.G. (Ala-Glu_Asp-Gly) The compound is made from 4 amino acids combined in a specific way and as such is known in the scientific community as A.E.D.G. X-Tend™ was the first lab to produce and promote A.E.D.G. to labs and universities so we have had ample time to perfect our process which is important as this small tetra-peptide is very fragile during production, easy to absorb moisture and degrade. X-Tend™ is pure A.E.D.G. (Epitalon) cleansed and filtered to greater than 98% purity and freeze dried into sterile vials of 50mg each. Epithalon is classified as a longevity product. It is reputed to regulate cell function by triggering the production of telomerase. Telomerase is an enzyme made of protein and RNA subunits that occurs naturally in the body and protects and repairs telomeres. Telomeres are at the ends of your DNA strands that act similar to aglet’s on the end of your shoe laces. They help to protect the DNA allowing the cells to properly divide thus replenishing old cells. Studies have been shown that long telomeres help correct errors in DNA during cell division and prevent cellular degeneration. Tetra-peptide decrease the age-related changes in immune and neuroendocrine systems, reduces the incidence of recurrent infections and chronic disease. Along with your vials of X-Tend™ is included a dropper bottle which we recommend using via sub-lingual. You can mix 8ml of distilled water into the vial, swirl to mix well and pour into the dropper bottle. Each 1 drop will have roughly .4mg of A.E.D.G. Keep the dropper bottle in the refrigerator. Keep any un-opened vials of X-tend ™ in the freezer. They can last in a freezer for up to 18 months. After 18 months they will start to slowly degrade. 6 to 8 drops of X-Tend™ under the tongue daily. As of today, there were no reported side effects of Epithalon in any of the clinical and experimental trials. Likewise, there are no reports of any Epithalamin adverse reactions on various internet forums, where people have been documenting repeated courses every 10-15 days for several years.